I hope you all know about PowerPoint presentations. If you have learn MS office then PowerPoint is one of the important part of it. And if you done any professional degree then you must have done several PowerPoint presentations. Well, it is also known as PPT slides are common these days. 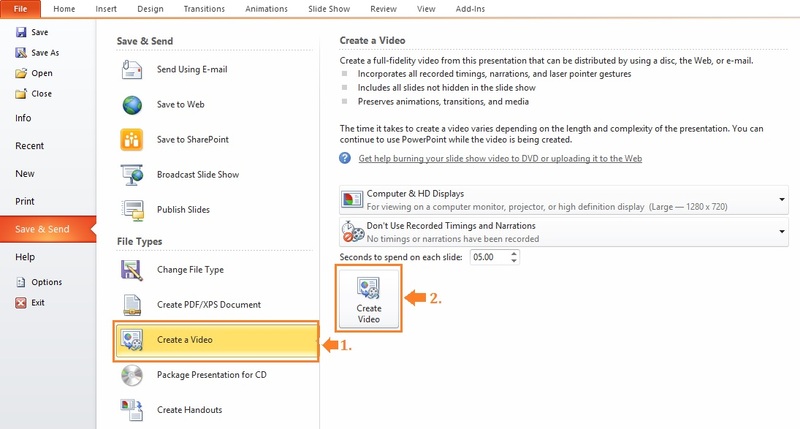 In this post, I am keep to give you amazing tricks to convert PowerPoint to video. They are important as to present any information in front of groups of people. Generally, businesspersons use this platform to share inside information with the board members and with other employees. However, these presentations are not limited to board room only but these days’ people use them to showcase information to other people too. Since internet is a very common platform to exchange information, this can be done easily through PPT slides. You can actually upload your video of PPT slides over YouTube and people will be able to look in the information for the assistance they are looking for. Well, you must know exactly about PowerPoint first. PowerPoint is a product of Microsoft through which information is shared. It is software that is installed in the desktops and laptops. This is a part of Microsoft software package and is available free of cost. Generally those people who need to show comparison, upward downward of calculation, images or any other source to draw attention of people use PowerPoint presentation and is not limited to any one industry. It is important these days as it shows proper functionality in one go. This is an interface that helps in drawing multimedia design to display information. It is easy to create colorful and interesting themes for the presentation purpose. It is easy to present and it is possible for the host to keep the targeted audience concentrated with some interesting features. One can use different tools like spread sheets, documents and graphics to keep people engaged with the information they are sharing. If there is a projector kept in a large room, then PowerPoint can be used through that source, there is no need to add some other tool or information sharing feature to keep audience engaged with the information. So, PowerPoint are actually very much important these days. Many companies are keeping their employees employed with this additional experience of knowing how to make PowerPoint slides. Creation of a PowerPoint presentation is done to inform people about anything. In this way, people use internet to share their PowerPoint slides in different niches to tell people about anything specific. YouTube is a very common source to convert PowerPoint to video as through this way, slide videos can be shared and people can watch them. With interesting editing and proper sequence of information, these days it is easy to convert PowerPoint in videos and can be shared through YouTube. With the extensive use of PowerPoint to video over YouTube, it is popularizing and in this way, there are specific options available through which MP4 video is converted for the PowerPoint slides. Step 1: Open the PowerPoint slides and switch to the tabs which you want to showcase along with their duration timing. This duration timing will hold a slide for that particular period of time. 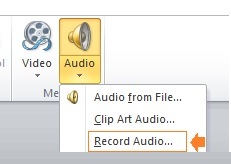 Here a person gets two choices; first is that he can add narration through audio to the PowerPoint slides. This can be done to narrate the slides verbally as they goes on. Second is rehearse timing usage which means that the slide will be on the screen for a particular time period and will change to next slide accordingly as the duration passes. Step 2: Go to Authorstream and save the file. It is a PowerPoint hosting service which helps uploading a file of more than 1GB. Step 3: When you are done uploading your file over Author Stream, this will redirect your video to YouTube and will upload it in MPEG4 format. You can stream this video over your Android or iPhone devices through anywhere to have a lookup. YouTube. Even if the internet connection is strong, it takes time in delivering messages and in the whole process. Also, as the process will goes on, users will receive email notification on their registered mail id. This will help them in knowing the status of their upload. Author stream can also create the video to be streamed properly over iTunes too. This offers good opportunity to all the editors to get a mix in their PPT which will make it more effective for the iPhone users while streaming. There can be many features added to your video if you have budget. If you have a limited budget, then this much is also enough and you can surely create and upload your video over YouTube for the viewers. Once you are done with the editing and mixing over Powerpoint, it is time now to upload it over YouTube. Remember that you should have a Google account so that you can upload your project on the website. To save the PowerPoint, click on the File tab where you will get multiple options to select from. Among different options to choose from, click on export. This option will help you in exporting the file directly to the portal you are looking to share. Since PowerPoint is presented for different purposes and in different areas, there are multiple options available in Export tab like creating file into PDF, burning it into a CD, creating a video or changing file type. Among them, click on create a video so that you can create it for the website. 4. There are multiple options available while going for create a video option which are like adding any external audio to it, duration for each slide and a recommendation to check the internet connection which should be good. After checking all the details, click creates video. 5. Make sure that the format of MPEG4 is supportable to your desktop or laptop and it will help you in saving the file in your desktop. While saving the file, you can check how the video is on the scale of good to bad. 6. After this process, open YouTube window and log in to your account to upload the latest video. 7. You are done saving your PowerPoint video over YouTube. Think for a title and publish it for the public. The numbers of likes and comments will appear along with notification on your registered mail id. In reference to these steps, you can actually get tutorials and even more information over internet or on YouTube itself. On a professional basis, people do uploading of different slides over YouTube to train people. 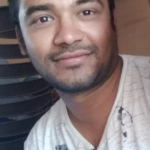 This could be about any recipe, fitness workout sessions, providing information regarding interview, how to start a business, driving sessions, preparing for any examinations, anything in general or anything which is based on daily life. Consider this fact that PowerPoint presentation is important these days and using them as a video can also the coolest idea to provide tutorial to the people. The duration of a video could be less than 10 minutes and so in this way, people can get certain information within few minutes that will save their time and with cool and interesting presentation, they can engage themselves too. So, why are you worried to upload your animated PPT to YouTube? Do it today with the help of above steps. If you liked my article, Please give your comments below! Thank you for sharing very use full PPT sharing site which is allow to create high quality link for website to improve the ranking in Google. Thank you.